Enjoy this wonderful selection of premium quality sketching media, from traditional graphite, sketching and drawing pencils to the new Watersoluble Graphitint, combining graphite with a subtle hint of colour. 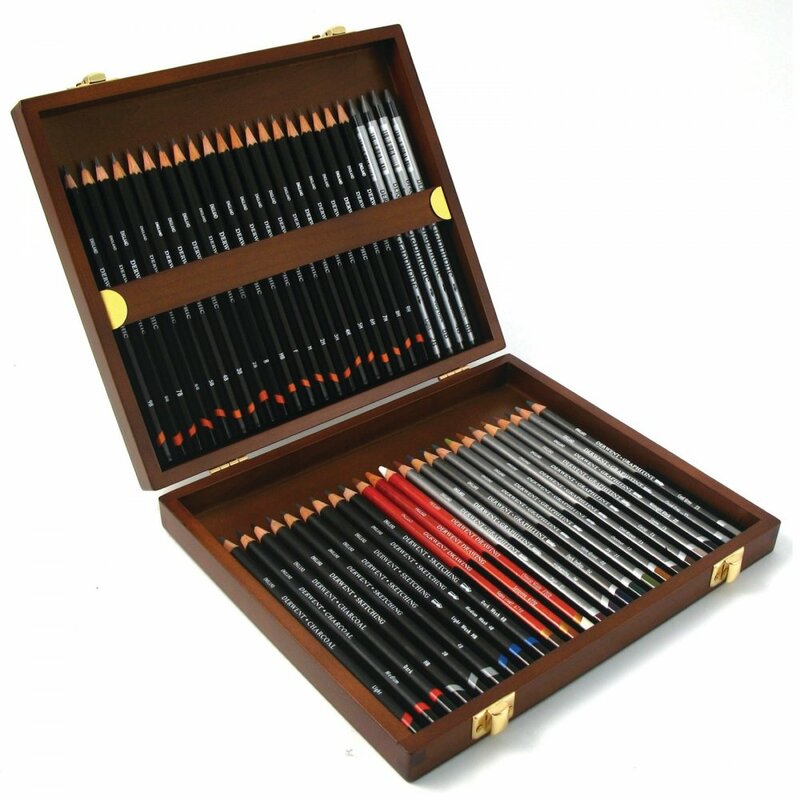 This beautifully presented polished wooden box set of 48 items includes the following: 9x Derwent Sketching Pencils, 3x Derwent Drawing Pencils, 12x Derwent Graphitint Pencils, 4x Watersoluble Derwent Graphitone sticks and 20x Derwent Graphic Pencils. Showing 2 Derwent Sketching 48 Wooden Box reviews. Average rating of Excellent. Would you like to write a review? Again bought for my daughters birthday and again she is over the moon with them. She is going to do a degree in Art and these are a very professional set of pencils. This was purchased for my husband who is very happy with it. I am very happy with the service and how quickly you delivered the item. I also liked the pack of love hearts that came with it a lovely touch. Thank you.